The National Olympic Committee of Tajikistan held an anti-doping seminar in the country's capital Dushanbe. 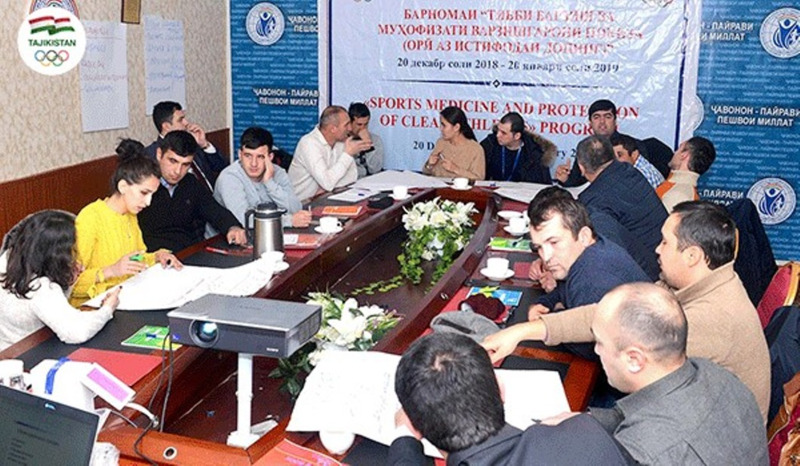 The three-day seminar was titled "Sports Medicine and Protection of Clean Athletes". The event was designed for coaches from National Federations and sport schools in the Asian nation. Participants were provided information on a range of topics, including doping and its consequences. Coaches were also informed about documentation which needs to be completed prior to international competitions. The basics of anti-doping, the role of the World Anti-Doping Agency (WADA) and the impact on the career and personal life of an athlete were among topics explored over the three days. Four athletes from Tajikistan were handed bans ranging from two to four years by WADA in 2017. The athletes came from the sports of judo and sambo. The Tajikistan Government, whose Committee of Youth Affairs and Sports helped organise the seminar, claim they are taking measures to prevent doping in sport. They cited their adherence to the International Anti-Doping Convention as evidence of their support of anti-doping. The seminar was claimed to be the first in a regular series which will now be run by the NOC. The organisation claim they will hold a total of 1,200 seminars in an attempt to educate people, including athletes and students.